The borders and planting areas around your land can be really time consuming to keep in tip top condition. 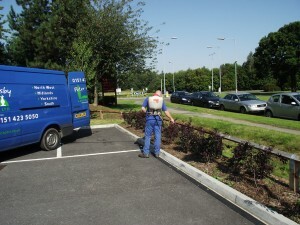 Our dedicated teams of qualified horticulturists take care of a wide range of gardens, estates and commercial landscaped areas across Merseyside. As part of our service we visit to identify the border types and the plants within them, once this is completed we then tailor an individual care program taking into account soil type, pruning needs, feeding intervals and so on. If you would like to discuss any aspect of your border maintenance requirements then please do not hesitate to call us on 0151 423 5050.